The Oztec 1675-EC Strip Cut Paper Shredder w/Enclosed High Capacity Cabinet saves time and money. 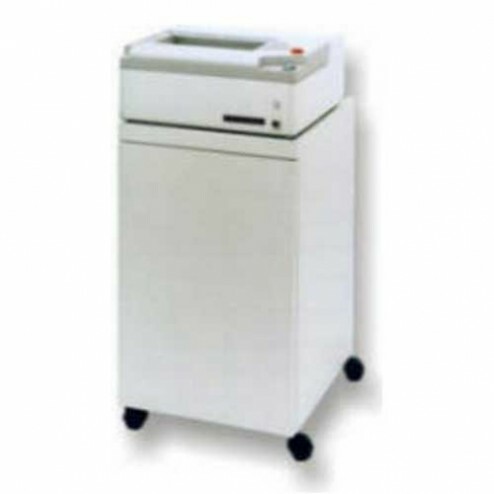 Oztec offers a complete line of High Volume office paper shredders for small to large offices, packing departments & mail rooms. All models handle staples and paper clips. The units are powered by whisper quiet motors which are continuous-duty rated for hours of uninterrupted use and require virtually NO maintenance. Includes Enclosed High Capacity Cabinet. Extra large cabinet can hold more shredded paper. Doors swing open to provide easy access to the bag.